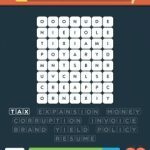 Stuck in Wordbrain 2 Business & Economics (Word Adventurer 7×8). Here are the answers. This is what I’ve gotten so far. I’m stuck on wordbrain themes adventurer game 4 answer 2. I checked for hints but there was no answers. 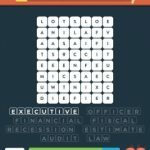 I’m looking for a nine letter word that begins with the letter a in business and economics word adventurer level 1. 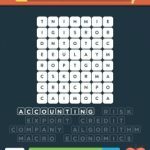 I found accounting but can’t find the other word. Please help. Employee, department, career, review, economy, culture, goal. For the level 5 answers.